Faced with tooth loss? 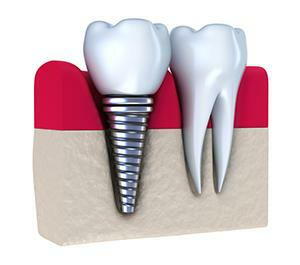 Find out if you should be getting dental implants to replace your missing teeth. Are you one of the millions of Americans who a missing tooth? Tooth loss can happen for a number of reasons, from severe decay to infections. If you didn’t come in for treatment right away our Orange City, CA, dentist, Dr. Andrew Yoon, may have recommended getting a tooth extraction. Once the tooth has been removed, it’s time to consider whether a dental implant is the best way to replace your missing tooth or teeth. When you lose a tooth you don’t just lose the crown, you also lose the roots that are hiding underneath. When this happens, the jawbone doesn’t get the stimulation it needs to stay healthy and strong. As a result, the jawbone will begin to deteriorate. To prevent this, our Orange City general dentist will place an implant, a tiny metal post, into the jawbone where the tooth’s roots used to be. The implant’s job is to take on the same function as these tooth roots. Cape Vista Dental in Orange City, CA, is ready to restore your smile for the long run. Let’s find out if your smile is right for dental implants. We know you won’t be sorry when you have a restoration that both looks and feels just like a natural tooth.